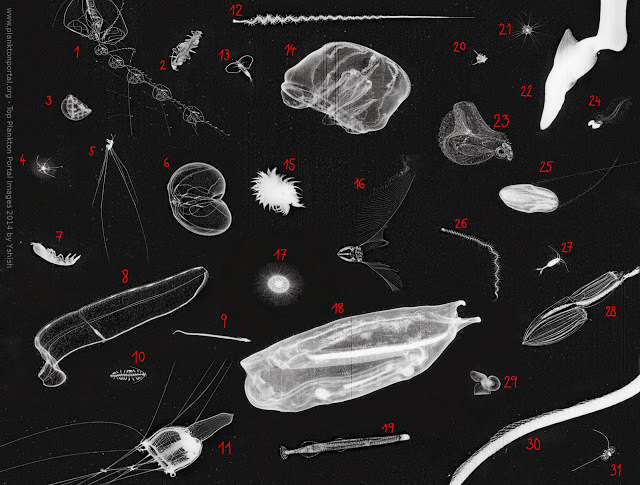 Plankton Portal Talk user/moderator “yshish” assembled this collage of the 31 “best” organisms that the project classified over the 2014 year. The mostly-complete legend follows. Thanks to yshish and to the fantastic Plankton Portal zooites! Join them at Plankton Portal today!